The E3 Speedo is a unique application offered by Velosys GmbH. It is connected by a Remote Control (RC1) to eBike Motor/Battery systems and brings all standard values like speed and distance to your smartphone. But that’s just the beginning. The Speedo uses the full range of sensoria. 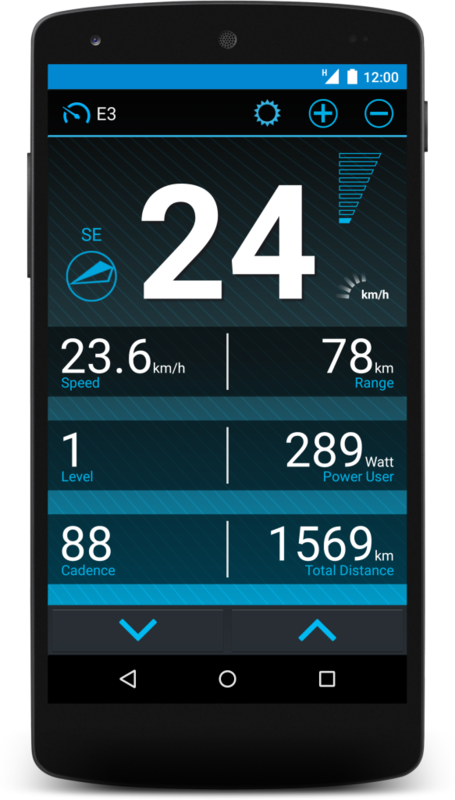 Moreover the biker can set the motor support level via the E3 Speedo app as well as switch the light on/off. The clou, eBike customers do not need an additional bike computer but just use their smartphone.